23 January 2016, Oxford – Marco Pierre White Steakhouse Bar & Grill has officially opened its doors at the newly renovated Jurys Inn Oxford Hotel and Conference Venue. The luxury steakhouse is the second restaurant in Oxford from the celebrity chef; the first being Marco’s New York Italian located on High Street. Boasting a relaxed ambience and glamorous interior, guests can expect a traditional steakhouse with a timeless selection of English and French classics. Alongside succulent, 28-day aged steaks, White’s well-known signature dishes grace the menu including Roast Rump of Lamb a la Dijonnaise and Seared Yellowfin Tuna Steak. 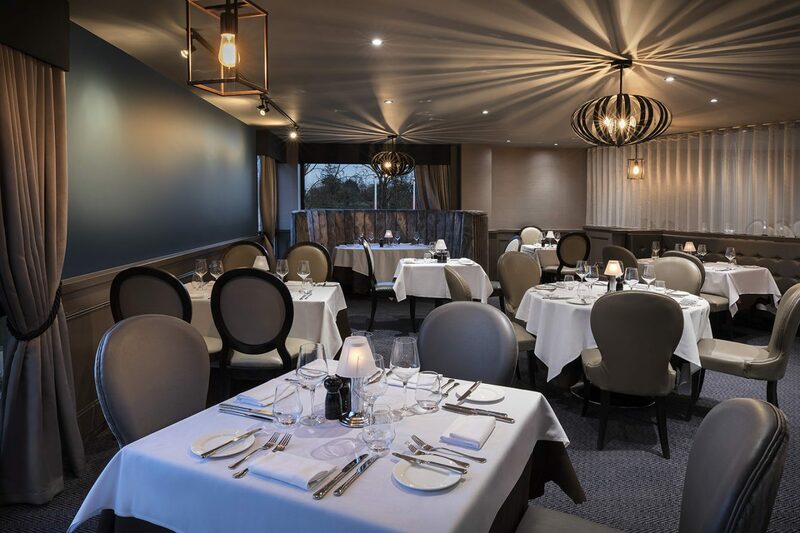 The restaurant’s opening coincides with the impressive £11 million refurbishment of Jurys Inn Oxford Hotel and Conference Venue, which has transformed the hotel. Boasting newly designed bedrooms, world class conference facilities and stunning, contemporary décor, guests can expect the excellent customer service Jurys Inn is renowned for. Marco Pierre White Steakhouse Bar & Grill is open for dinner Monday – Saturday from 18.30 – 21.30 and Sundays from 19.00 – 21.30.